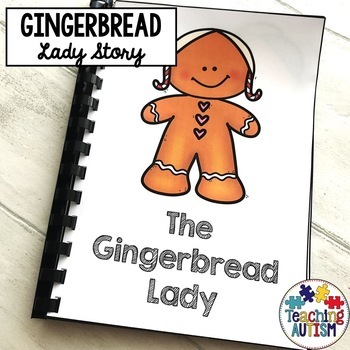 This is a story about the Gingerbread Lady. I have wrote this story myself and it has been a huge hit with my students. 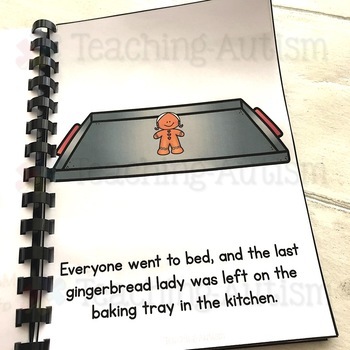 The story is about a little girl and her grandma who baked some gingerbread ladies. But that night, the moon shines onto the gingerbread lady, bringing her to life! Follow the adventures of the gingerbread lady through the night. She visits the beach, a farm and ends up sleeping in a gingerbread house in a toy shop! The next morning when she wakes, she hurries back to the little girls house where she is safe. Your students will love reading this fun and engaging story. It will also provide you with plenty of further learning opportunities in your class. 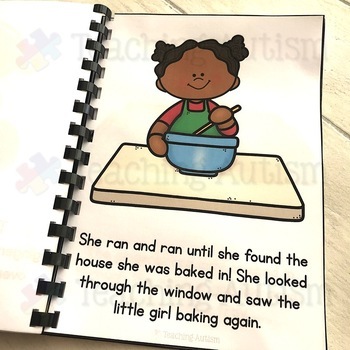 We love to bake gingerbread ladies to go with our story. I recommend laminating each of the pages and binding together as a book. This will help your students to work on their book skills as well as making it more accessible for them. There are 26 mini pages included in this pack. Each mini page comes 2 to a page which will help to minimise on your printing costs. The story comes in both col. and b/w option for your printing preference. It is also suitable for all spelling variations - colour/color etc.